Corsendonk Camping Spa d'Or is a campsite with 200 touring pitches and 4 year round pitches. During low season, between 06-05-2019 - 29-05-2019, 11-06-2019 - 07-07-2019 and 27-08-2019 - 24-10-2019, the nightly rate is €16,- at one of the 200 touring pitches at Corsendonk Camping Spa d'Or in Sart-lez-Spa (Liège). At this campsite you can not only use your CampingCard ACSI for inexpensive camping, you can also use your ACSI Club ID (as an alternative ID). 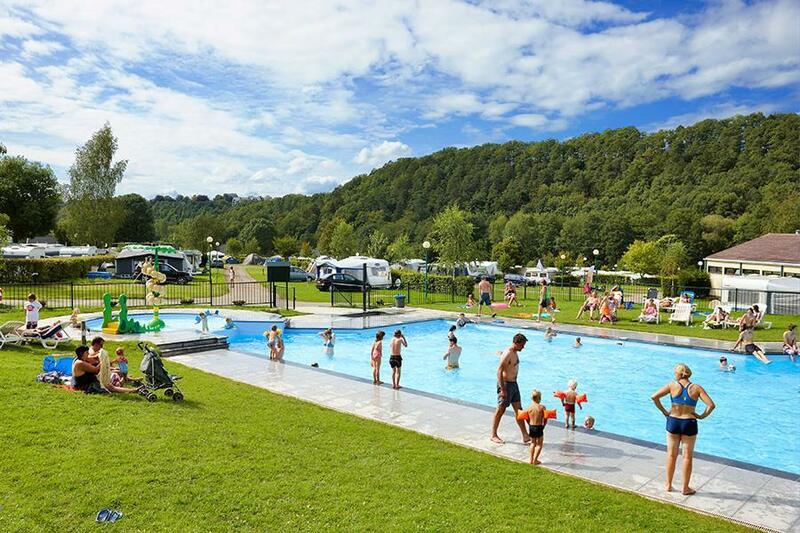 Camping Spa d'Or is located on the edge of 'Hautes Fagnes-Eiffel' nature area 4 km from Spa. Grounds slope down to the river Wayai. Heated swimming pool and children's pool. Snacks and takeaway meals available in the bar. Would you like to book Corsendonk Camping Spa d'Or or request more information? You can do both using the information below or by visiting the campsite's website. From the south, take A27/E42, exit 10 Francorchamps. Follow signs. From the north take exit 8 and follow the Spa d'Or camping signs. Coming from Luxembourg E25 exit Remouchamps direction Spa/Francorchamps. Follow signs on the left just outside Spa. CampingCard ACSI will send your information request to "Corsendonk Camping Spa d'Or".